Sayulita is fast becoming the most popular place to visit in Mexico, while still maintaining it's low key and relaxed vibe. This small fishing and surfing village lies in the heart of the Bay of Banderas, and is home to some of the best surfers and SUP'ers in the world. 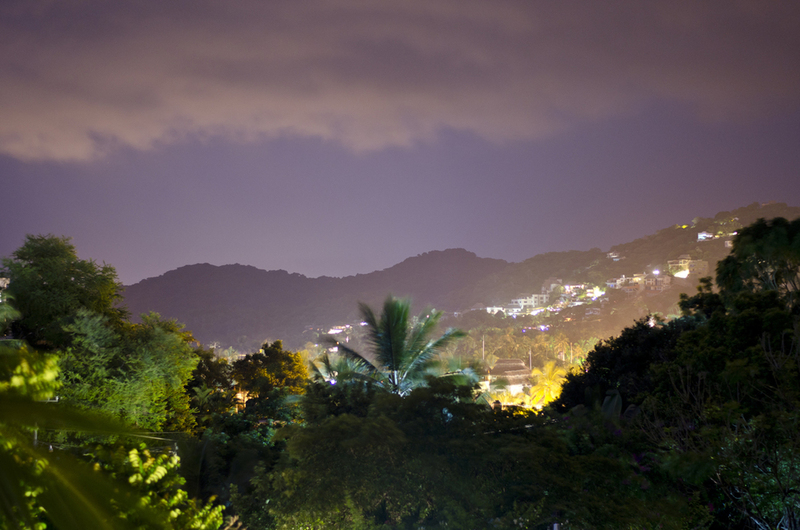 Only a 40 minute drive from the airport at Puerto Vallarta, and hidden within lush green jungle, Sayulita gives visitors access to traditional Mexican ways of life, while providing the luxury of indulging in foreign-owned and operated businesses. The perfect place to learn how to surf or perfect your craft, Sayulita Beach offers a strong point break, with a designated beginner section, safe for those new to surfing. With hosts of contests happening throughout the year, Sayulita Beach combines high-intensity action sports, with sleepy-slow mellow lounging. And if the hustle and bustle of surfers and sun-catchers is not your cup of tea, take a 5 minute stroll down the beach, to enjoy a quieter sunset amongst the beach bars located on the North side of town. Whatever adventure your heart has in mind while visiting Sayulita, we are pretty sure you will find it here. Be it a unique piece of handcrafted Huichol jewelry discovered down a hidden alley, or a whale watching tour and sunset horseback ride, Sayulita specializes in reminding it's visitors how to truly love life. Whether it's swimming, paddle boarding or surfing - Sayulita playa (beach) has you covered. The main beach has several beach restaurants and bars to choose from as well as sun chairs and umbrellas for you to enjoy a lazy day at the beach. If you want more privacy you can walk to the nearby beaches, Playa los Muertos, being one of them. If you want to find a hidden gem, visit Playa Carricitos, here you will enjoy stunning sunsets and most likely you'll be the only one enjoying the view (perfect for romantic getaways). For even more remote beaches, visit Playa Patzcuaro or Playa Malpasos. These beaches do require a hike through the jungle to get to, but oh, is it worth it! Similar to Hawaii, the weather is all year-round warm and tropical with temperatures averaging in the 80s and 90s during the day and dropping ten or fifteen degrees lower at night. From November through May, winter in Sayulita is warm and fairly dry. Summer months are more humid and hot with scattered showers usually in the afternoons. August and September are usually the wettest months in Sayulita. With an average of 300 days of sunshine and 60 inches (152 cm) rain per year, Sayulita is a lush, sunny eden by the ocean.